[by Earl Blacklock] Elyesa Bazna was the butler for the British Ambassador to Turkey in the final years of World War II. He was also the highest paid spy in history – at least on paper. Bazna is known to history as Cicero, his German code name. He approached the German embassy in Ankara with an offer they couldn’t refuse – an opportunity to regularly see the contents of British Ambassador Sir Hughe Knatchbull-Hugessen’s home safe. The Ambassador was careless about following procedure, regularly bringing sensitive documents home. He was unaware that his trusted valet had made a copy of the key to his safe, and was regularly rifling it for secrets. And what secrets! Bazna’s first set of photographs included a list of British intelligence agents in Turkey, and a preliminary report on the decisions reached at a conference of U.S., British, and Russian Foreign Ministers. The Germans found invaluable a copy of the British report on the Teheran Conference, including the discussion about the Second Front. They also learned that the Allies were determined to persuade Turkey to enter the war on the Allied side. Using Bazna’s information, German Ambassador Von Papen tried to use a combination of bribes and threats to keep Turkey neutral. But he overplayed his hand. 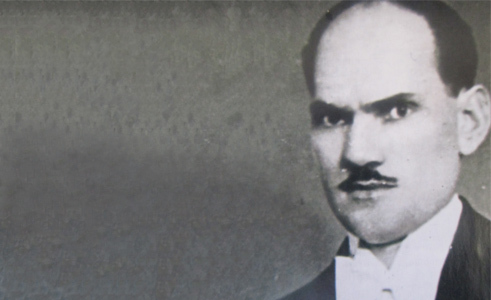 Numan Menemencioglu, the Turkish Foreign Minister, became suspicious that the Germans had access to British secrets, and he warned Knatbull-Hugessen that there must be a spy at the British embassy. The Ambassador passed on the warning to London, and received in response an elaborate burglar alarm. Of course, his trusted servant was only too happy to assist him in installing it, allowing him to continue his access to the Ambassador’s safe. The undoing of Bazna came from another spy. Nelly Kapp was a British agent in the German embassy. She was able to learn about Bazna’s betrayal, and to give a warning to the Ambassador. Bazna was fired. While serving as Germany’s agent, Bazna demanded, and received, at least half a million dollars in British pound sterling, and with that, he thought himself ready to retire. His great fortune was only an illusion, however. The Germans had a massive counterfeiting operation called Operation Bernhard underway, and their high quality notes, intended to subvert the British economy, were also their means of payment for their spies. When the British became aware of the scheme, they took steps to replace that currency. Bazna’s money was worthless. After the war, he tried to sue the West German government for what he considered his rightful earnings, but was unsuccessful. A movie about his betrayal was made, but he received no royalties from it. He died poor. Proverbs 15:6 says “The house of the righteous contains great treasure, but the income of the wicked brings them trouble.” Bazna certainly received nothing but trouble from the income for his wickedness. For those who pursue righteousness, however, the rewards are great. It is our choice to make – to be righteous, or to betray the trust others have placed in us. Previous PostIs someone playing around with global warming temperatures?